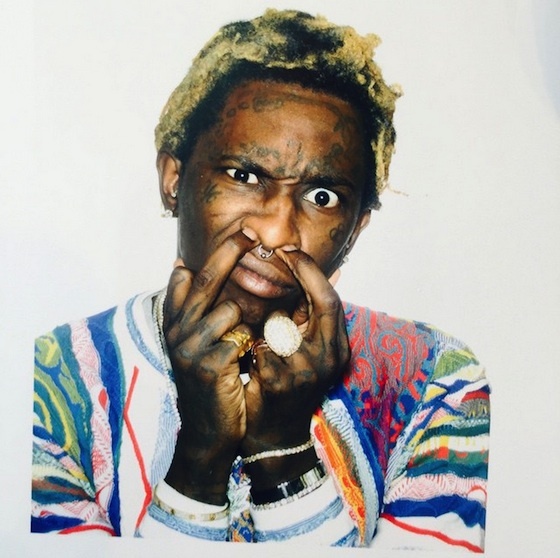 Young Thug "Just Might Be"
It's been approximately 24 hours since Atlanta rapper Young Thug dropped his previous two songs. That's not a whole lot of time by anyone else's standards, but for the prolific performer it's long enough — he's already back with another track. "Just Might Be" is built on a melancholy beat from producer Wheezy, and it's further proof that Thugger works best when he's a little bit sad. With a tinge of melody, he spits lightning-fast rhymes over the four minute song. Listen to "Just Might Be" below, and stay tuned for more Young Thug when it inevitably drops soon.